What we thought they were, how we wish we both had more. How we want to be a bit more adventuresome. I read every day. I watch some TV most days. Honestly, I often get bored with TV, which is why I think I went in search of something different. There are, without a doubt, amazing shows on American networks, but I do love a good accent. Now, a warning, two of these shows are subtitled. Give them a chance! I promise you won’t regret it. Just remember not to fold laundry or cook dinner while you’re watching, otherwise, you’ve missed a good chunk of Pilar and Luis’ reunion. Set in 1921, a group of nurses from Madrid’s upper class are sent by the Queen to open a hospital in the North African territory of Melilla. They are tasked with helping Spanish soldiers injured in the Rif War. Nurses, soldiers, locals. Are you already picturing the dynamic female relationships, the sweeping love stories, and intense battle scenes? If you’re not, you should be. The plot of nursing in the 1920s caught my eye, and I will admit, when I first started watching and realized the show was in Spanish, I was a bit disappointed. But then, I was so engrossed in the first episode, I kept hitting the next button on my remote. The cast is superb, the storyline is exciting, and each episode leaves you wanting more. The show is brought to you by Bambu/Antena 3, and the first season is available now on Netflix. I am admittedly a little late to this phenomenon. I suppose this show resembles many of my adored shows featured on the Food Network, but there’s something special and intriguing about The Great British Baking Show. It’s so fun! The show follows a group of amateur bakers through weeks of technical challenges and competitions. They must impress the prickly judges or be sent home. I think what amazes me about this show is how talented the bakers are. Seriously, some of the things they make I’ve never heard of in my life. It’s a fun, stress-free show to throw on when you’re not in the mood for a deep, brooding drama. Beware, though, it makes you hungry. The Great British Baking Show was formally a BBC Two production (now Channel 4), brought to the US via PBS. Four seasons are available now on Netflix. 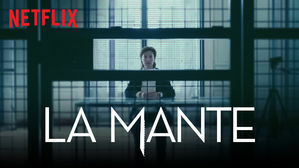 If you love a good serial killer show (which I do), La Mante is for you. Set in present-day Paris, police search for a suspect whose crimes match those of famed female serial killer Jeanne Deber. Jeanne, known as “The Mantis,” agrees to collaborate with the police to help find the copycat. But she’s got demands of her own and the body count continues to rise. La Mante is a French show (yes, subtitles). It’s a short series, only 6 episodes, but its creepy subject matter and twisty turns kept me enraptured with the storyline. I usually pride myself on grasping onto twists before they happen, but this show kept me wondering and guessing until the end. The murders are a bit gruesome (not kid friendly), but the king of Horror, Stephen King gave the show a nice thumbs up. La Mante is produced by French channel TF1 and is available now on Netflix. Set in 1667 during the construction of Versailles, Louis XIV decides it’s time for the French nobility to submit to his rule despite their rebellion against the monarchy. He moves court from Paris to Versailles and starts work on what is now one of the most famed palaces in the world. But people don’t always like to submit, and soon even those closest to him begin to show their viciousness. Versailles is the perfect show If you like intrigue, murder, politics, history, fancy parties and fabulous costume and set design. The cast is wonderful, and you can’t help but love and hate Louis throughout every episode. He was known as the Sun King, but his reign has plenty of dark days. Seasons 1 and 2 are available on Netflix via Canal+ of France. There ya go! Let me know if you end up watching any of these shows and what you think? What are you watching these days that's got you hooked? ^^This is not me. Okay, this is sometimes me.